Why is outsourced software better than in-house? Organizations constantly look for innovative ways to operate more efficiently and cost – effectively. Especially, working in the aviation field, organizations encounter many challenges which can not be handled in the traditional way any longer. Therefore, companies start to look for different and more innovative solutions to reach their business goals. One of the examples is in-house versus outsourced software dilemma. 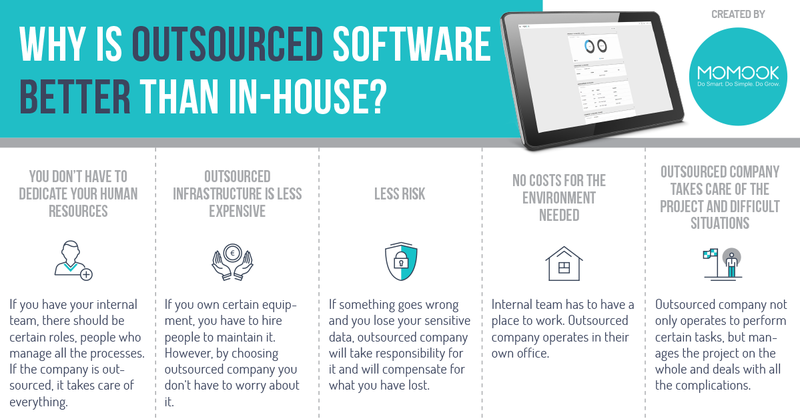 Take a look at the infographic below and it will be easier to decide if outsourced software is a good decision for your company!